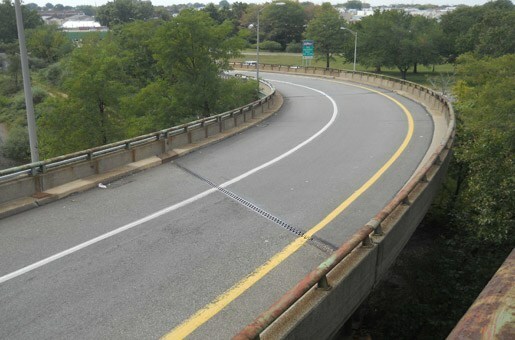 SIMCO was hired to conduct a materials condition evaluation and determine the remaining service life of concrete deck panels on the Southeast Bridge of the Newark Bay Hudson County Extension. The investigation aimed at evaluating the deterioration and remaining service life of the original deck panels. In addition, SIMCO also provided assistance for the design of 6 structures along the Newark Bay – Hudson County Extension of the New Jersey Turnpike by comparing the time to corrosion and likeliness of cracking for different re-decking options. The first part of the project consisted in evaluating if deck panels could be left unrepaired in the short term based on their current chloride contamination level. 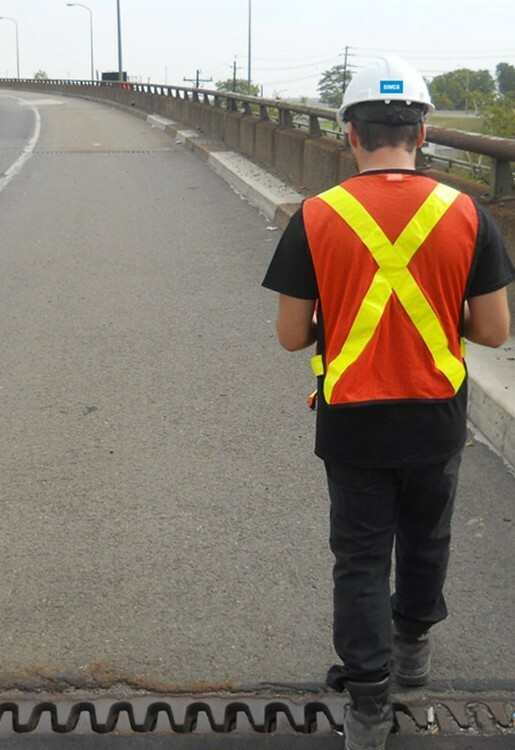 It was determined that severe contamination was only present in some areas, which meant that short-term chloride-induced corrosion would cause damage in only a limited number of hot spots where asphalt did not effectively prevent chloride ingress. Corrosion-related damage was observed in cores extracted from these critical areas. Analyses showed that visual inspection of the underside of the deck could yield misleading results. Numerical calculations using STADIUM® also showed that areas adequately protected by the asphalt pavement would not be affected by major damage resulting from reinforcing steel corrosion over the next 10 years. Lifecycle cost analyses were also performed to identify the best preservation solution for these deck panels. The second part of the project consisted in evaluating the effectiveness of different re-decking options. These options were evaluated based on time to initiate corrosion and cracking potential. Using SIMCO’s STADIUM® software, the time to corrosion was evaluated based on theoretical assumptions derived from the performance specifications and geometry of the design options. Concrete properties of mixtures in SIMCO’s database that were found to comply with the NJTA performance specifications were used. The evaluation of exposure conditions was based on deicing salt exposure according to other projects carried out by SIMCO in the New Jersey area. Based on the results of analyses performed by SIMCO, the best options were recommended according to durability and service-life requirements specified by the owner. Using SIMCO’s STADIUM software, the time to corrosion was evaluated based on theoretical assumptions derived from the performance specifications and geometry of the design options.